Our Public Liability insurance is £2 million. 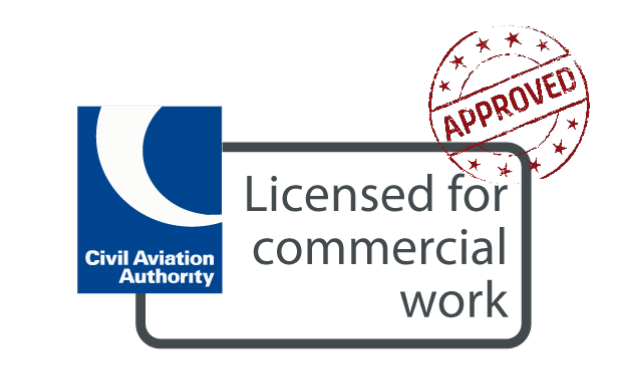 Our team of qualified drone pilots all operate to stringent Civil Aviation Authority (CAA) CAP722 standards and hold valid CAA PFAW (Permission for Aerial Work) certificates. For industrial or agricultural survey work and aerial inspection. Land Mapping was never so simple and accurate, thanks to the latest level of technology that we have adopted. We offer accurate 3D land mapping services through which we provide elevation data, contour lines, 3D surface data, accurate volume measurements, CM level terrain profile & much more useful information. Along with breathtaking aerial videos, we also capture ground films. Corporate films, ad films, short movies, you name it and we do it. We use state of the art equipment and few of the brightest minds to give you a product which can benefit your business the most.